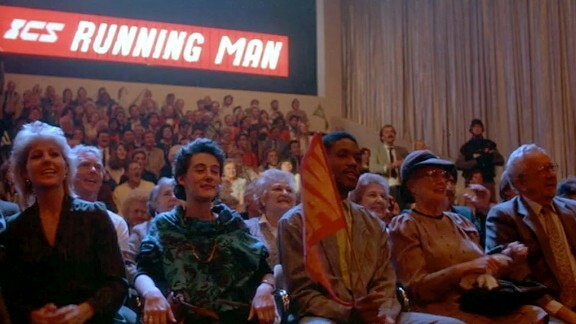 The Running Man – Did You See That One? 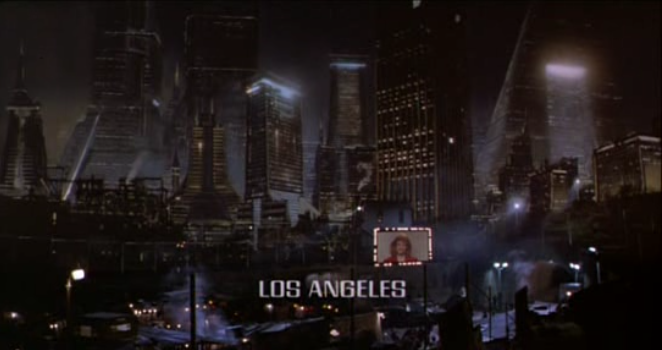 In the dystopian future world of Los Angeles, Ben Richards (Schwarzenegger) is framed for the massacre of innocent civilians. Now he’s been been thrown into the gauntlet of The Running Man, a popular television show that forces condemned people to fight for their lives. Stephen King (The Mist) initially published his novel The Running Man under his pen name of Richard Bachman. The 1982 novel became the loose (let me emphasize the term loose) inspiration for this 1987 film. The movie version was adapted by screenwriter Steven E. de Souza (Die Hard). The film was initially going to be directed by Andrew Davis (The Fugitive), but he was fired a week into production and replaced with Paul Michael Glaser (The Air Up There) who might best be known as Detective Dave Starsky from the show Starsky and Hutch. 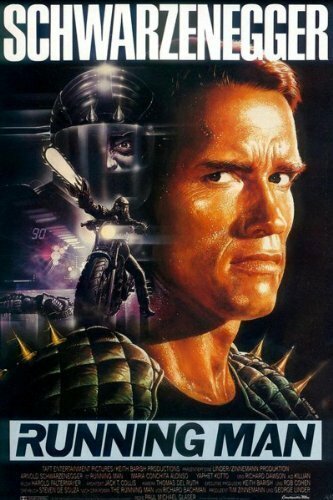 The cast of the film includes Arnold Schwarzenegger (Jingle All the Way), Richard Dawson (Treasure Island), and Maria Conchita Alonso (The House of the Spirits). The acting had nothing to work with, and for the most part it’s obvious. 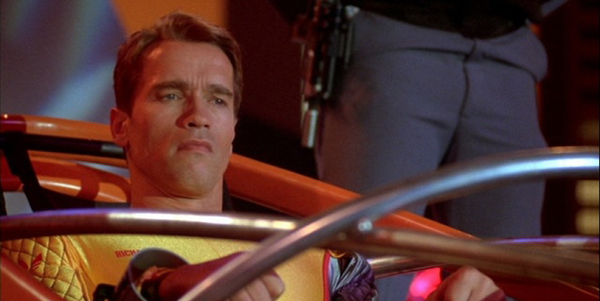 Even a semi-talented actor like Schwarzenegger wasn’t able to get by with feats of strength and wanton violence. Not only that, but his accent get in the way of convincingly portraying a guy named Ben Richards. Maria Conchita Alonso was equally unfortunate with the work she was asked to do. Her role is shallow includes a number of unexplained moments that leave her performance feeling confused. (I was also confused at that point.) Putting her together with Schwarzenegger just meant that we got to see two people with heavy accents fighting to survive in this nonsensical world. 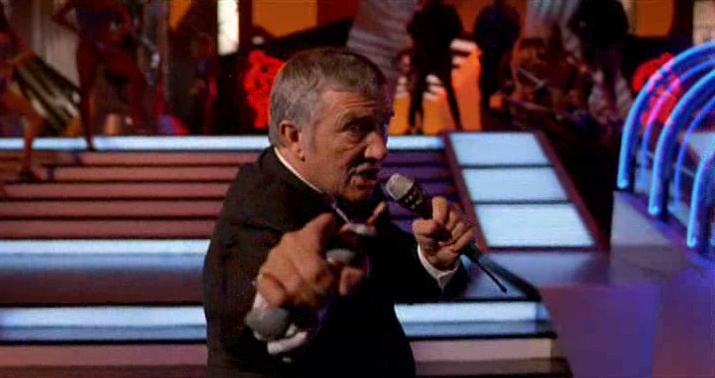 The one shining performance in this film comes from Richard Dawson. He pulls off a performance that actually finds some emotional content in the husk of a screenplay. Not as surprising is the fact that he wouldn’t do another film in his career. (Perhaps the stink of The Running Man was too much to shake off.) The rest of the cast includes a number athletes and professional wrestlers being asked to give it their best. Sadly, no one was able to make this story work. Going back to Glaser and his lack of skills… This movie looks and feels like a bad 1980s television show. If it wasn’t for the violence and language this might have been used as a pilot for a bad 1980s show. The visuals attempt to display the decaying society of the future, but they’re unable to find the right feel. Much of the movie hinges on fight scenes that are poorly staged, with props that look so incredibly stupid that it’s hard to focus on anything else. (I do give them credit for coming up with a creative use of a bowflex machine in a film.) Otherwise this one has nothing to offer in terms of new or exciting visual work. The score is equally mind-numbing, coming from composer Harold Faltermeyer’s (Beverly Hills Cop) synthesizer. I’ve always been told that if you don’t have anything nice to say, you shouldn’t say anything at all. (Thanks Bambi, and mom.) I consider this to be a worthy exception if I can spare anyone the wasted time I used watching this movie. Nothing in this film works, and the only saving grace is that it never had a chance. (See my review for Haywire if you’d like to know how I feel about films with a certain amount of promise that fail miserably.) If you’re a fan of this movie, shame on you. I guess we all have guilty pleasures. Still, this is one you should skip. There are a million movies out there and only so much of your life should be spent on stuff like this. I give this one 1 out of 5 stars, simply because the performance of Dawson is part of this one. 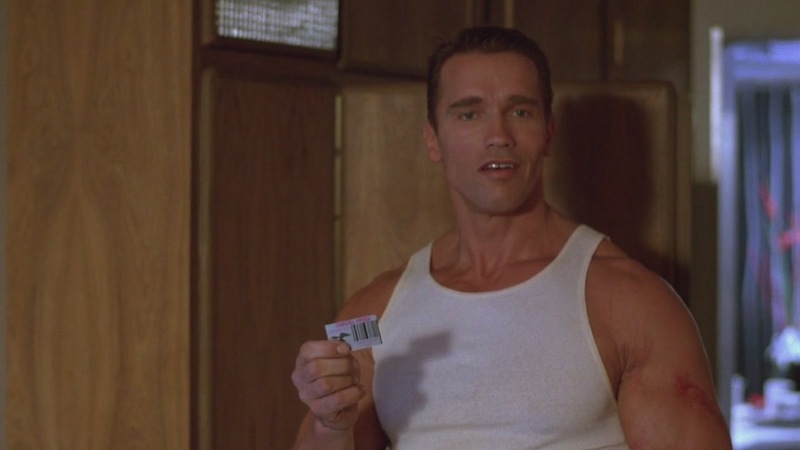 Pingback: Terminator Genisys | Did You See That One?